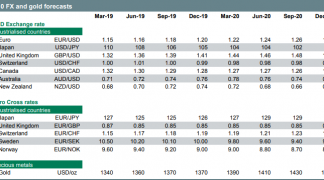 Banking giant BNP Paribas have released their post-Brexit forecasts as they update clients on where they are targeting the British Pound to trade against the Euro through the remainder of 2016 and through 2017. Economists are generally agreed that Brexit will mean slower growth in the foreseeable future. Lower growth means lower interest rates at the Bank of England who will dig into their policy policy tool box to stimulate investment and keep the economy ticking. The side-effect of this stimulation is a lower Pound Sterling though with many pricing in an interest rate cut to be delivered before the summer is done. It has been noted that following the EU referendum the Pound has continued to follow interest rate trajectories, confirming that interest rate levels matter, arguably more than anything, for the currency’s outlook. Foreign investors tend to direct money towards economies that command higher interest rates. At the same time, countries with low interest rates tend to see outflows of their currency as investors borrow and send money to foreign destinations that offer higher returns. These dynamics creates a downward force on exchange rates. “Our economists expect the Bank of England to ease policy aggressively, forecasting 50bp of rate cuts and GBP 100bn of QE to be announced by the November meeting, which is slightly more than the market currently expects,” says Sam Lynton-Brown at BNP Paribas in London. Lyndon-Brown and his team have announced their exchange rate forecast adjustments following the UK’s decision to exit the EU and warn that UK GDP is likely to be 2% lower by 2018 as a result. Like many other analysts, BNP Paribas say they are forecasting recession in the second half of 2016 and early 2017. The assumption therefore is that the Bank will opt to see through any near-term inflationary pressures and keep rates lower for longer, which should in turn keep the GBP lower for longer. The mood music set by BNP Paribas’ forecasts is therefore overwhelmingly negative for the Pound’s outlook. As mentioned, the lower interest rate regime in the UK will impact currency inflows as directed by foreign investors. This could well mean the UK will struggle to fund its considerable current account deficit. The current account deficit (not to be confused with the budget deficit) arises from the fact that the UK imports a great deal more than it exports. The most recent data shows it remains near record levels. To keep the currency elevated the country therefore relies on strong foreign investment which BNP Paribas believes has already started to fall. In 2015, the UK’s Balance of Payments with the rest of the world was 12.8% of GDP, as substantial portfolio and FDI inflows more than offset the current account deficit of 5.1% of GDP. BNP have, as a result, substantially revised their 2016 GBP forecasts on the back of the UK’s vote to leave the EU. 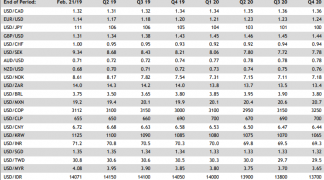 Revised forecasts put GBP/USD at 1.28 (from 1.55) and 1.33 (from 1.58) for the end of Q3 and Q4 respectively. 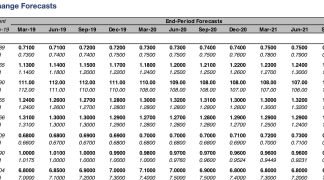 EUR to GBP forecasts shift to 0.86 (from 0.74) and 0.84 (0.72) over the same time periods. Spinning this around from EUR/GBP to GBP/EUR: 0.86 = 1.1628, 0.74 = 1.3514, 0.84 = 1.1905, and 0.72 = 1.39. For end 2017, BNP forecast GBP/USD at 1.37 and EUR/GBP at 0.77, GBP/EUR is forecast at 1.2987. How Do These Forecasts Compare To Those Made Elsewhere? It is important to get a feel of where BNP Paribas’ estimations sit with their peers. 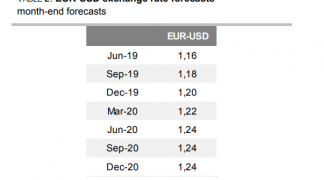 FX Exchange, the foreign exchange brokers, have had a look around and see the following levels being forecast by the big names. Sterling continued the strong gains made on Tuesday but at a much more moderate pace on Wednesday July 13. The previous day's strong recovery had been based on the news that Theresa May would be the new leader of the conservative party and prime minister. On Wednesday she officially moved into number 10 downing street and started to form her new government. 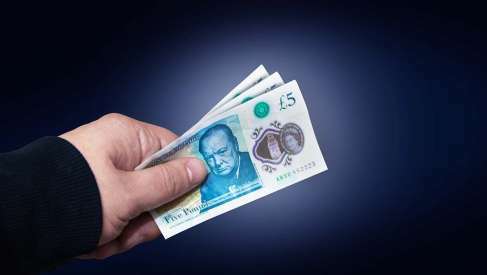 The pound eased off its highs, however, as traders began to look ahead to Thursday's Bank of England (BOE) meeting, at which it is expected that the BOE will cut interest rates. "Governor Carney once again signalled that the Bank has the tools to respond to economic developments at yesterday’s testimony to UK lawmakers. That tool box looks set to be re-opened tomorrow; we think the BoE will react to downside economic risks generated by Brexit uncertainty with a 25bp rate cut." Interest rate swaps are currently pricing in over a 70% probability of a cut according to a report by Bloomberg News.